When it comes to home remodeling, you probably think you have seen and done it all. However, proactive companies are always looking for a new product or service to offer customers. At Vianvi Signature® Cabinet Refacing, we believe one of the most popular services that contractors can add to their offerings is cabinet refacing, which is becoming a growing trend among homeowners across America. This process allows homeowners to experience the beauty and luster of cabinets that look and function like brand new, without having to invest in entirely new cabinetry. Cabinet refacing is the perfect solution for a variety of different remodeling needs. In today’s economy, there are many individuals who are looking to buy a home on a short sale or who like the adventure of flipping homes for profit. The ability to offer fast turnaround times with cabinet refacing, combined with excellent product quality, is exactly what these kinds of buyers are looking for. Vianvi Signature® Cabinet Refacing, a leader in the industry, is proud to share our wealth of knowledge and expertly crafted products with home improvement contractors nationwide, allowing them to add cabinet refacing to the arsenal of options that they can provide to homeowners in their area. Unlike franchises, enrolling in Vianvi Signature® Cabinet Refacing’s dealer program involves only a minimal, fully refundable, investment. We provide extensive training in everything you need to know about how to reface cabinets in accordance with the Vianvi Signature® Cabinet Refacing process. An abundance of sales and marketing tactics and materials are also made available. Home remodeling is on the rise, and many homeowners are looking into bathroom and kitchen refacing as an affordable alternative to new cabinets and complete remodels. 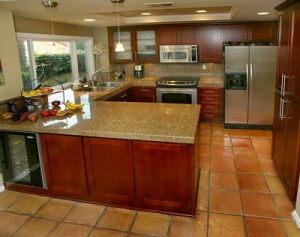 Cabinet refacing is a great home improvement project to recommend to all of your clients – past, present, and future. Years of old leads that you had given up on are now reactivated simply because you are offering a new product that is sure to grab their interest. We are the official cabinet refacing company for Sam’s Club, and when you become a certified Vianvi Signature® Cabinet Refacing dealer, you will also become the Sam’s Club Vianvi Signature® Cabinet Refacing dealer for your particular area. It is widely known that California has some of the strictest safety and environmental regulations when it comes to manufacturing and materials. In fact, many companies cannot sell their products in California because they are not compliant with the state’s laws. Thankfully, everything we install is finished by us in our state-of-the-art manufacturing facility in Anaheim, California and exceeds any requirements nationally. Therefore, while the laws and regulations of states such as Wisconsin, Connecticut, and Tennessee may not be as strict as those of California, our dealers will still meet, and exceed, any given state’s regulations while having a superior cabinet refacing product to offer. With the recent surge of going green, who isn’t going to want the greenest cabinets around? If you would like more information about becoming a certified Vianvi Signature® Cabinet Refacing dealer and a cabinet refacing expert, please contact us today.